Managers are fond of PowerPoint. Every presentation is full of data, facts, figures, charts, and graphs. This fascination with packing presentations with everything under the sun on a given topic is in sharp contrast to available evidence as to how the human brain functions. In numerous controlled studies, where one group is asked to prepare a short (one minute) presentation with data and facts, and another group is asked to make the same presentation in the form of a story, audiences exposed to the story had a 67% higher retention rate than audiences exposed to data and facts. Jennifer Aaker is the General Atlantic Professor of Marketing at Stanford University's Graduate School of Business. She is the author The Dragonfly Effect: Quick, Effective, and Powerful Ways to use Social Media to Drive Social Change. "It is clear from our research that, in contrast to what you may think, promoting a personal goal is inherently social. To be successful, you must translate your passion into a powerful story and tell it in a way that generates "contagious energy," so that your audience reflects on your tweet, blog post, or email, long after they leave their computers. The four key skills to telling a powerful story are: Focus, Grab Attention, Engage, and Take Action." Professor Aaker recounts a campaign to raise funds for Save The Child - a not for profit charity. Two brochures were created - one full of data, facts, and figures - on the enormous challenges that children in the third world countries faced; the other had some key facts too, but prominently featured the photograph and the story of a seven-year old girl from an easily identifiable country. Those who received the second brochure contributed twice as much as those who received the brochure full of facts. Stories are timeless links to ancient traditions, legends, archetypes, myths, and symbols. They connect us to a larger self and universal truths. Stories are about collaboration and connection. They transcend generations, and engage us through emotions, and they connect us to others. Stories are how we think. They are how we make meaning of life. Stories provide order. Within the context of the story arc we can withstand intense emotions because we know that resolution follows the conflict. 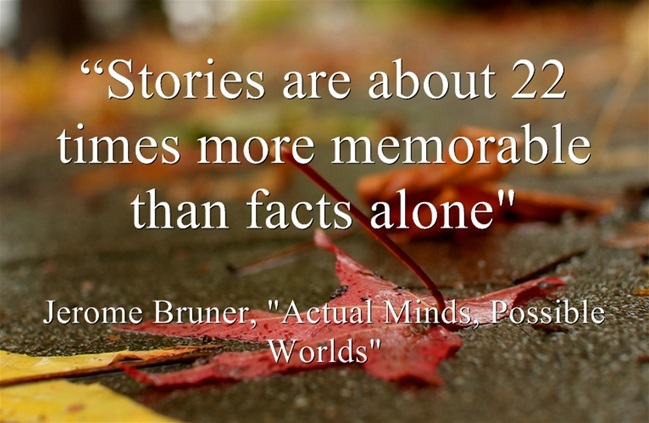 Stories are how we are wired. Stories take place in the imagination. Peter Guber is an executive, entrepreneur, educator, and author. He is Chairman and CEO of Mandalay Entertainment. His films include Rain Man, Batman, Midnight Express, and The Kids Are All Right. He argues that stories are the "most effective form of human communication. And telling purposeful stories is certainly the most efficient means of persuasion in everyday life, the most effective way of translating ideas into action, whether you're green-lighting a $90 million film project, motivating employees to meet an important deadline, or getting your kids through a crisis. The psychic lever that opens the brain to the power of stories is the ability to form mental representations of our experience. It is wired into the brain's prefrontal cortex." 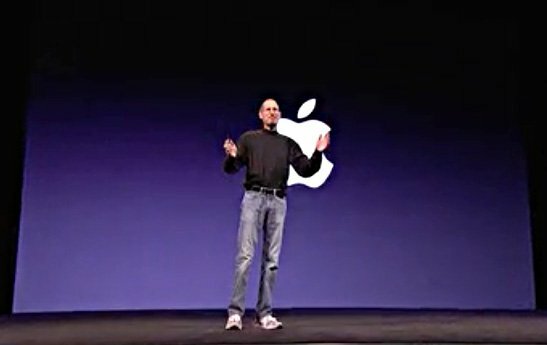 Steve Jobs is considered to be among the all-time greats in making impactful presentations. His introduction to the iPhone or the MacBook Air have become legends. To understand the brilliance of his ability to convey a powerful message, please look at this ad shown at the Super Bowl in 1984: https://www.youtube.com/watch?v=VtvjbmoDx-I. And if you wish to explore the story behind the ad, look here: https://www.youtube.com/watch?.v=PsjMmAqmblQ. 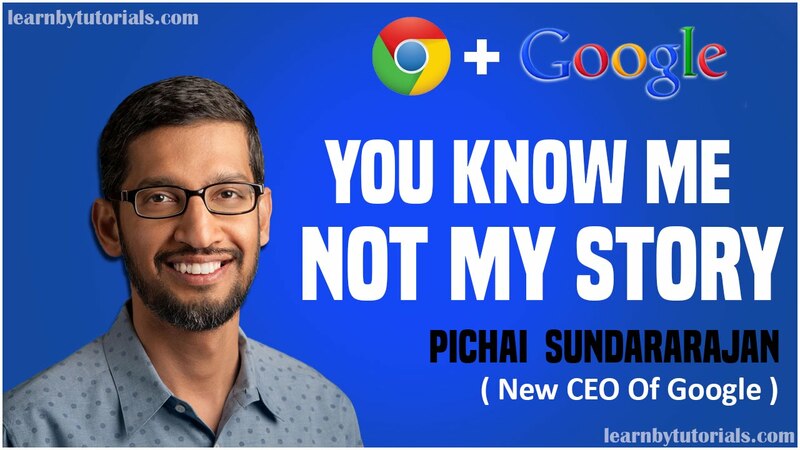 Sundar Pichai is the CEO of Google, one of the most valuable companies in the world. His rise to the top from humble beginnings can be an inspiration to anyone aspiring to be great. A clue to his ethos can be found from the following story that he is fond of narrating. The story is probably old, but has become famous thanks to Sundar. "At a restaurant, a cockroach suddenly flew from somewhere and sat on a lady. With a panic-stricken face and trembling voice, she started jumping, with both her hands desperately trying to get rid of the cockroach. The lady finally managed to push the cockroach away but ... it landed on her partner. Now it was the partner's turn to continue the drama. The waiter arrived with the order. In the relay of throwing, the cockroach landed on the waiter's shoulder. The waiter stood firm, composed himself, and observed the behavior of the cockroach. At an opportune moment, he grabbed the roach with his hand and calmly threw it out of the restaurant. Sipping my coffee and watching the amusement, the antenna of my mind picked up a few thoughts and started wondering: was the cockroach responsible for all the anxiety and resulting behavior? He handled the situation to perfection, without any anxiety, without chaos. It is not the cockroach, but the inability of the protagonists, the lady and her partner, to handle the cockroach that caused the disturbance. I realized that it is not the shouting of my father or my boss or my wife that disturbs me. It is my inability to handle the "noise" caused by their shouting that disturbs me. It is not the traffic jam that disturbs me, nor the honking of the car behind me, but my inability to handle the "noise" caused by the traffic jam that disturbs me. I understood that I should not react in life. The customers reacted, whereas the waiter responded. 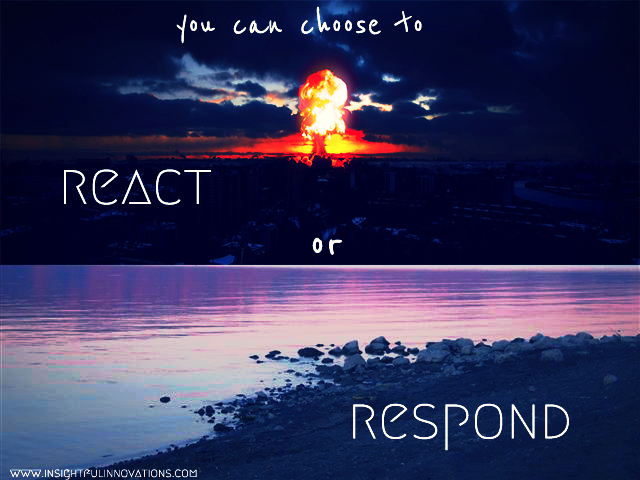 Reactions are always instinctive whereas responses are invariably well thought of. The next time you make a presentation, please include a story, or two. "Baby Shoes For Sale. Never Worn."